Deliberate practice is different than what you do day in and day out. High-performing athletes are only content if they are seeing measurable improvement, because they are willing to work extraordinarily hard to maintain a superior level of performance and growth. As business professionals, we have to do the same. Be the leader who seeks feedback on their performance while working to be consistent and deliberate every day. Alan describes how incredibly powerful deliberate practice can be, and uses basketball player Kyrie Irving as an example. Irving is extremely talented but his talent is not the only reason he is one of the NBA’s best players — the thousands and thousands of hours he has spent deliberately practicing his craft have been a huge contributor to his success. Your practice must be intentional, aimed at improving your performance, designed for your current skill level, and must provide immediate feedback. Deliberate practice is practice that you are motivated to perform— and you give your best effort. It is practice that is solely focused on improvement and development. It is practice that immediately provides informative feedback. It is practice that is repeated over and over. Just going through the motions won’t get it done, how you practice matters most. 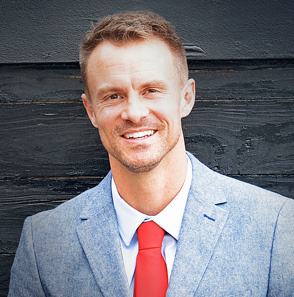 Alan Stein, Jr. is an experienced performance coach, speaker, and author who has spent 15+ years working with the highest performing basketball players on the planet . He now transfers his unique expertise to help businesses and organizations develop championship-level performance, cohesion, and accountability. Bring Alan’s proven strategies to your upcoming meeting or event by contacting Michelle Joyce. Check back every Friday for additional featured speakers!